The right to submit a written complaint to the Family Educational Rights and Privacy Office, U.S. Department of Education, Washington, D.C. concerning the alleged failure of the College to comply with the Act and its implementing regulations. The regulations implementing the Act may also be found in the Federal Register Vol. 48, No. 118, Thursday, June 17, 1976, pp. 24670-24675. Questions regarding the Act or its implementing regulations should be directed to the Registrar or the Vice President for Student Life and Dean of Students. Under the provisions of the Family Educational Rights and Privacy Act of 1974 (PL93-380) and amended in 1992) (FERPA), directory information is considered public information and, as such, may be made available through the approval of the Vice President for Student Life and Dean of Students and, when appropriate, the Registrar to third parties unless you request to be excluded from such published information. Directory information may include your name, your parents' name, local and home address, email address, and telephone numbers, date and place of birth, major field of study, class year, dates of attendance, degrees, related to participation in officially recognized activities and sports, dates to be used in determining eligibility for honors and awards, activities, intercollegiate athletic participation, other appropriate recognition, and educational agencies and institutions attended by the student. If you do not wish to have this information about you made public, you must complete the “Request for a Directory Hold” form in the Office of the Registrar, 109 Long Hall, by the end of the drop/add period in any term. The directory hold will remain in effect until you request that it be removed. Seniors are urged to remove this hold prior to graduation. Otherwise, the College will not be permitted to respond to calls from potential employers. 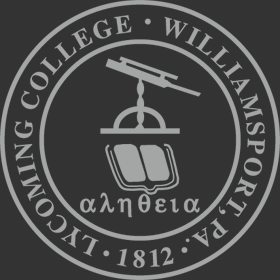 Lycoming College, in respect to a student's growing independence and "ownership" of their educational record, which includes academic, financial and conduct records, elects to give students the opportunity to decide whether they wish to waive their FERPA right (disclosure of educational record to parents) regardless of their IRS status as a dependent . Upon entry to the College, students are required to complete a FERPA Release Form. The completed form is considered in effect during the student’s enrollment at the College. A student may change their FERPA option at any time during their enrollment by visiting the Office of the Vice President for Student Life and Dean of Students. Release of information to faculty and staff that have a legitimate educational need for the information. Under a court order subpoena. Each student's ACADEMIC RECORD will be kept indefinitely. The MEDICAL RECORDS of a student will be retained seven (7) years from the date of the student's graduation or withdrawal. The judicial records of a student who has voluntarily withdrawn from the College will be destroyed after two consecutive years of such withdrawal unless the record indicates a prior suspension in which case the record will be maintained permanently. COUNSELING RECORDS AND PSYCHOLOGICAL TEST DATA are maintained by Counseling Services for a period of five (5) years after the termination of services. ADMISSIONS RECORDS and supporting documents are sent to the Registrar's Office when a student matriculates. The Registrar's Office retains these records for a three-year (3) period. FINANCIAL AID RECORDS are retained for a five-year (5) period, unless for purposes required by law, records must be kept longer. FINANCIAL RECORDS will be retained so long as any obligation to the College remains or as required by law. PLACEMENT MATERIALS are kept in the Career Services Office for a period of five (5) years after a student graduates. INCIDENT REPORTS are kept in the Office of Safety and Security in Rich Hall for a period of five (5) years.